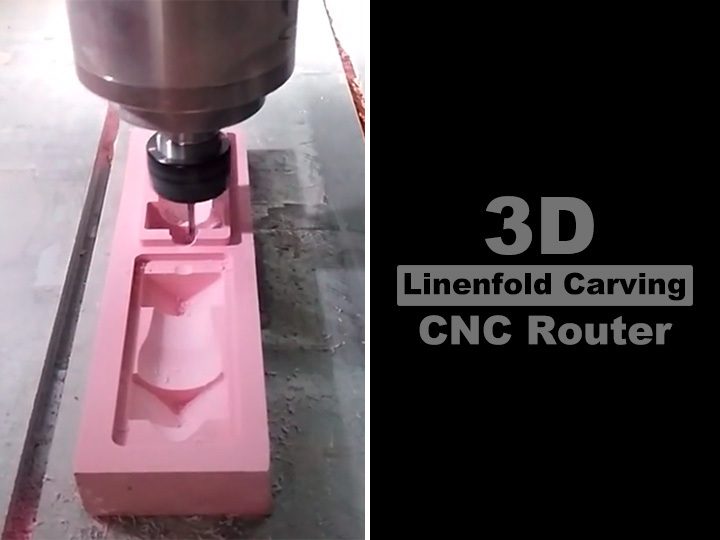 This is a working video of 3D linenfold carving CNC router machine for woodworking. This work is made by a small 6090 CNC wood router with low cost. For advertisement engraving and cutting, stone processing, mold manufacturing, wood processing, craft manufacturing, light box cutting, building model cutting, indoor decoration cutting, light equipment mold processing, sign and mark manufacturing, acrylic board processing,etc. Stone, Wood, aluminum board, plastic, density board, wave board, PVC, PCB, acrylic, crystal, light marble and other nonmetal materials and light metal material. License: The text of "3D Linenfold Carving CNC Router Machine for woodworking" by STYLECNC is licensed under a Creative Commons Attribution 4.0 International License.